There is a lot to consider before you choose where you are going to be recording. Whether it’s your first CD or your 10th, you want it to be the best recording possible. Therefore you want to record on the best equipment that you can afford. In the studio, time is money. You want to get your tracks down as quickly as possible but not be rushed to the point of having to make concessions in your music. These days, everybody knows someone who has a recording studio in their basement or garage, a buddy with an 8-track recorder, a cousin with a 4 track in their bedroom. But if you could, wouldn’t you like to do your work in a professional studio? Why Us? With all the modern recording toys available at any music store or website almost anyone can record music. But how good is it really? When your music is on the line, you don’t want it to be “ok”, or “good”, or “sounds alright”. You want it to sound great. On any given day ebay has 164,000 pro audio items for sale. Most of which were bought by musicians who wanted to record their own music and have that hit record they always wanted. Then came the reality of having to learn how to use all that equipment. And then you learn it won’t do everything you need it to do, so you buy something else, and then you sit for few more nights reading another manual only to learn you need something else. Bottom line is, there a lot of great musicians and there are a lot of great recording engineers but there aren’t very many at all that are good at both. We’ve got the latest digital equipment. We do have 72 tracks of inputs into some of the best digital converters around. We do know how to listen. We know how to listen to you. We listen first to find out what sound you want before the recording starts. We listen to you while you are recording to get the best tracks possible. We listen to you after the recording is done and the mixing begins. After all it’s you and only you that knows what you are expecting to hear. You are the one that has had this sound inside your head for months or even years, wanting to get it recorded just right. We are affordable. One of our main goals is to make quality recording available to everyone. We have package deals, hourly, daily, or weekly rates. We can do on-site duplication and printing. Just Give Us A Call and Check Us Out. We’ll be your first choice, NOT the one you settled for. My name is Buck Carroll. 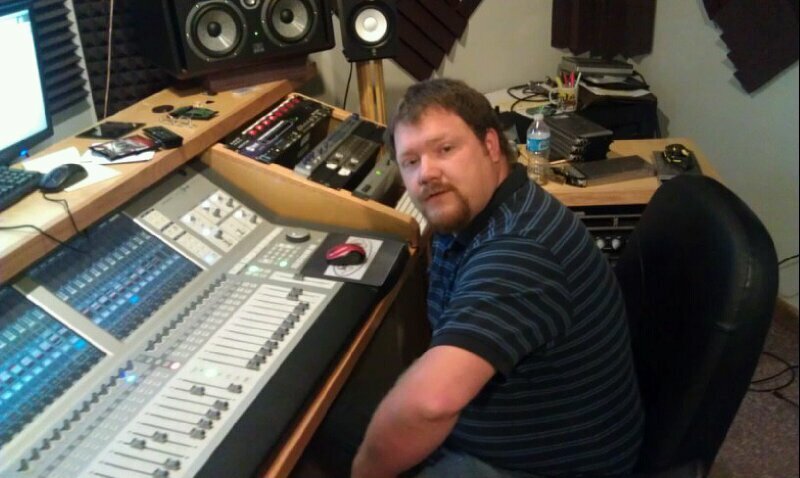 Owner and manager of the bluegrass band called: Buck Carroll & Breaking New Ground. And really want to pick a professional and affordable place to record our project.What kind of prices do you guys have. Our CD would consist of 12 tracks. Depending upon how good a product you wish to have at the end. What do you guys generally charge for Mastering a tune ? Recording is done, mixing is in progress, Engineers is suggesting sending out for mastering…. Lots of options available but most don’t know bluegrass music. $60 per hour. Takes on average 45 min. per song I think. Let us know if we can help.